Pedro has given Chelsea a 1-0 lead with this superbly-worked goal against Newcastle at Stamford Bridge this evening. 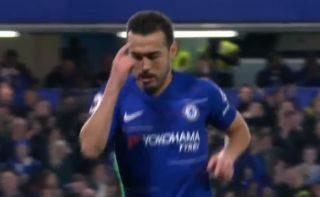 The Blues are known for their short passing game under Maurizio Sarri, but this fine Pedro goal came about thanks to a quality lobbed pass forwards from defender David Luiz. The Brazil international even seemed to no-look the pass, despite it proving an inch-perfect one over the top to Pedro, who made no mistake with a clever lob from close range.